During the summer term, all Year 12 college students are required to attend a one-week work experience placement. All college students are required to find their own placements; this ensures that they have a worthwhile and meaningful experience. It is best if students complete their work experience in the field that they wish to pursue their future career. However, this is not essential. BTEC students need to ensure that their placements are meaningful to their chosen vocational subject. Work experience provide students with a taster of the world of work; through interviews, applications, time keeping, health and safety and much more. • Complement their academic and vocational courses in school. The process of organising the placements normally starts in November/ December with an assembly. The early time frame is to give students enough time to contact potential employers. College students will attend their placement during the summer term. All students need to ask their employer to complete the own placement form and return it to Miss Judge (College Manager) in the 6th form office, and a copy of the ‘Employers Liability Compulsory Insurance document’ or you will not be able to attend the placement. Decide on the type of work you would like to do. Be related to an idea for a future career or just an area of work that you would like to experience. All work experience can be equally valuable providing it will give you a good opportunity to develop your Employability Skills. Look for a placement by asking your parents or carers, relations and friends, if they know anyone doing the type of work that you are interested in. You can also ask your tutor and staff at college, look at advertisements in newspapers and magazines, enquire at customer service desks, and look at shop fronts and businesses in your home area and on the way to college, research in libraries and on the internet. Discuss your ideas with your parents or carers and tutor. You should not arrange a placement where you will be working closely with a parent or relative or where you already have a part time or holiday job. 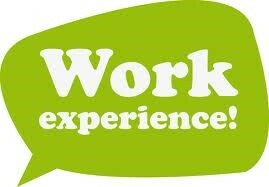 It is important that Work Experience is a ‘new challenge’ in terms of people and environment. You need to take into account where you live, what transport links are available and how long will the travel times be from your home to your placement. Contact the company or organisation and ask if they are prepared to accept you for Work Placement. This can be done by telephone, personal visit or letter. Make sure that you know the dates of your placement and advise the company of these. Think about why you would like to do work experience within that organisation and remember to be enthusiastic in your communication. A copy of your CV should be taken when making a visit or enclosed with your letter when applying to the company. 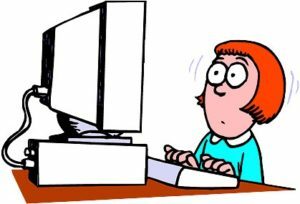 Once you have confirmed a placement, you should complete an Own Placement Form downloaded from Student Shared; Work Placement Year 12. Send or take it to the company or organisation. The form must be completed and signed by the employer to confirm that they agree to you doing work experience within their organisation. The Company must have Employers’ Liability Compulsory Insurance otherwise; you will not be able to go there for Work Placement. The policy number and expiry date will need to be recorded on the Own Placement Form. The completed form should be handed to Mrs Judge before the deadline date given. Your placement will then be checked for suitability. Return signed Parental Consent form by Friday 1st March 2019. Follow the preparation for work placement guidance (see above). Take Own Placement form to the employer for them to complete. Return the completed Own Placement Form with the Employers Liability Compulsory Insurance documents to Mrs Judge by Friday 24th May 2019. Any student who has failed to return the necessary paperwork on time will not be allowed to go on Work Placement and will spend the week in full uniform at school. To view the letter to parents please click here. For a copy of the parental consent form please click here. Pupils can print out their own form from this page please click here. To view the 2018-19 work experience booklet please click here.